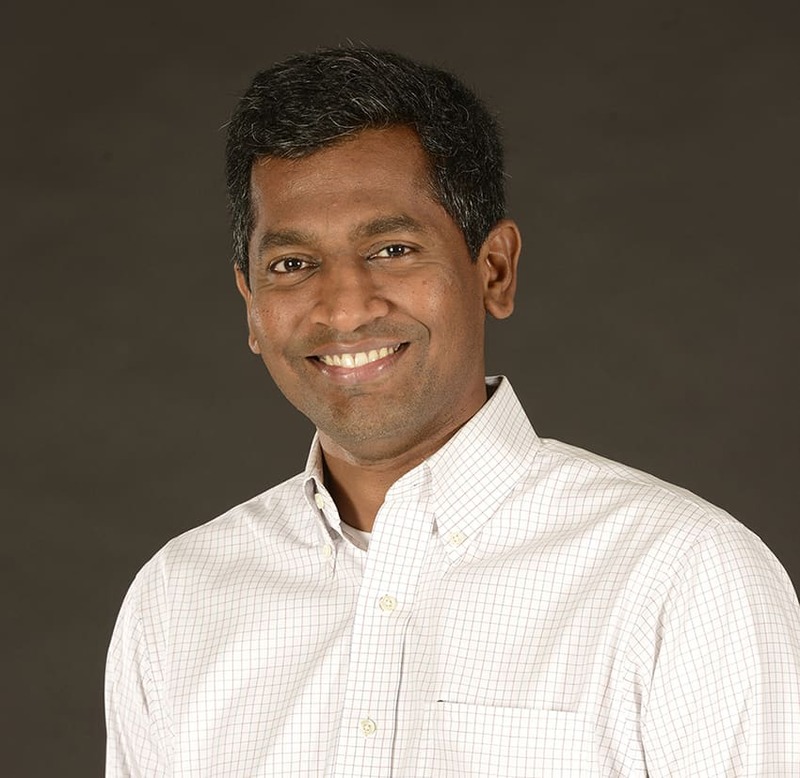 Sept. 16, 2015 | LITTLE ROCK –Muthu Veeraputhiran, M.D., a hematologist/oncologist fellowship-trained in bone marrow transplantation, has joined the Winthrop P. Rockefeller Cancer Institute at the University of Arkansas for Medical Sciences (UAMS). He sees patients in the Medical Oncology Clinic and is a member of the Bone Marrow Transplant Team. His specialties include leukemias, lymphomas and other hematological disorders. Veeraputhiran is an assistant professor of medicine in the UAMS College of Medicine Division of Hematology/Oncology. He earned his medical degree at Stanley Medical College in Madras, India, and master’s degree in public health at University of Oklahoma Health Sciences Center in Oklahoma City. After completing his residency in internal medicine at Temple University affiliate Abington Memorial Hospital in Abington, Pennsylvania, Veeraputhiran completed fellowships in hematology/oncology at Karmanos Cancer Institute in Detroit and bone marrow transplantation at Stanford University in Stanford, California, in addition to a fellowship in transfusion medicine at UAMS. He previously served as a physician at the UAMS Myeloma Institute and at Saint Francis Hospital in Tulsa, Oklahoma.